Poorly implemented web browser / email. 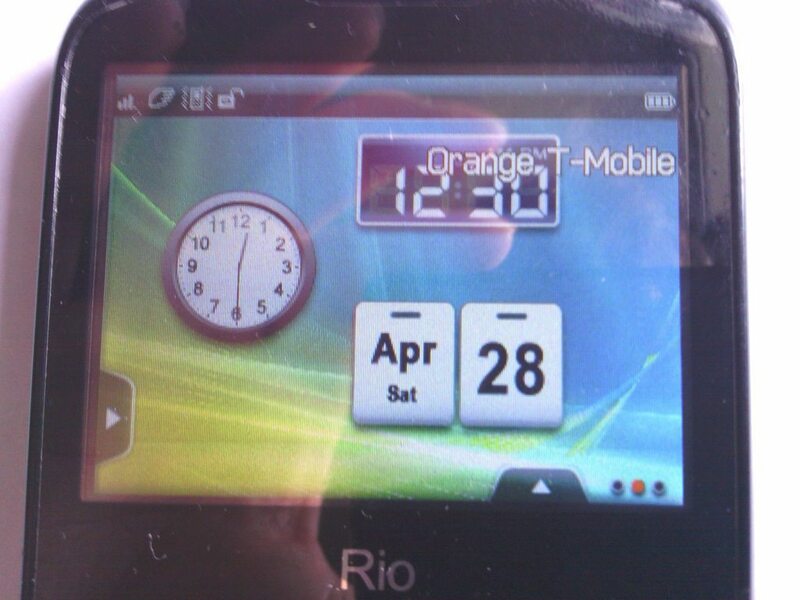 The Orange Rio is a good mobile for the price, with a good keyboard and easy to navigate menus. But it is let down by the web browser and the email functionality. Today, I shall be reviewing the Orange Rio. Its a cheap budget phone that has since been suceeded by the Orange Rio II. Sadly, I don’t have the second version, so this’ll have to do. Read on for the rest of the review. The phone itself has got some reasonable components. The keyboard is reasonably ok, but the keys are a bit small, so you may find yourself correcting lots of typo’s if you have very large fingers. The navigation keys are okay, just remember that this isn’t a blackberry, so you can’t just slide your finger over it to control the phone. Its also quite obvious that the phone has been made to look like a much more expensive phone, as it has a chrome trim around the phone, and its styled much like a blackberry phone. The glossy finish is however a huge trap for fingerprints, so it gets dirty quite quickly. The back of the phone has a rather pathetic speaker, so I recommend getting some external speakers if you plan on using it for music. It also has a 2MP camera, which is alright, but you won’t win any awards with it. The home screen of the phone is reminiscent of a modern smartphone. It has customizable home screen widgets, and it has 3 home screen areas. The widgets are accessed by pulling out the drawer at the left side of the screen. There are also shortcuts that are accessed by pulling out the drawer at the bottom of the screen. The main menu of the phone is easy to navigate, and has all the options you’d expect from a phone, such as contacts, messaging and the browser. Menu items are big enough so you don’t click the wrong one when navigating. There is also some menu screen animations for people using the buttons. The phone come with some built in apps, most of which are rather poor. It has 2 web browsers built in – a really bad wap browser and Opera Mini 4.2, which cannot be upgraded to the latest version. I feel Orange/ZTE could’ve at leas made the Opera browser upgradable, as that would’ve improved the browsing experience greatly. Also the built in email functionality is very disappointing. Although it did sucessfully setup automatically for my gmail account, it had limits on how many emails it could store at a time, and send/recieve was broken for me. It also came with something called Orange Widgets. It was good in theory, but due to the lack of 3G connectivity, it was too slow to be of any use. Everything else that came with it however worked fine. Downloaded java apps didn’t work nearly as well as the built in apps. They tend to crash a lot, and there is a bug whereby forced text entries (i.e. text popups that have no cancel button) don’t work properly, and the app has to be terminated by pressing the end call button. The orange Rio is a pretty good phone. It’s not the best, although it isn’t gonna be the best for only £40. 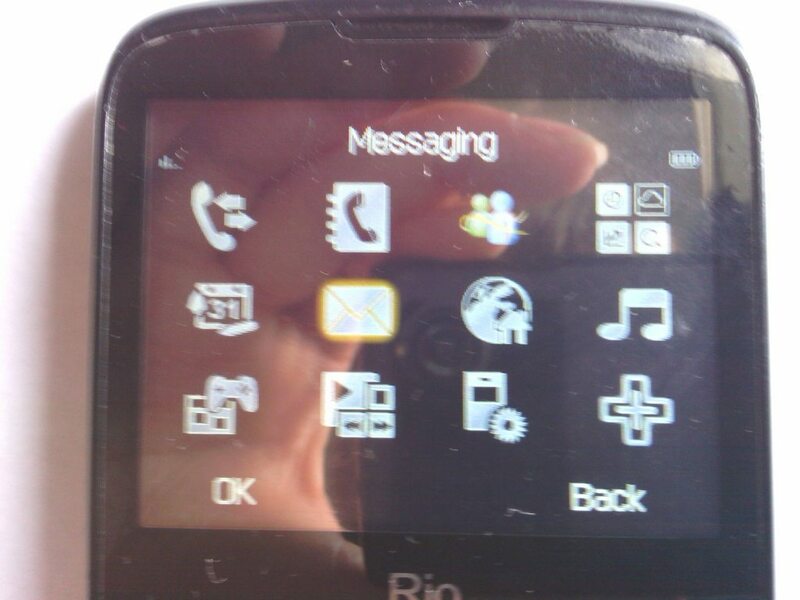 However it is a really good value phone, and I would’ve recommended it to a friend had the Orange Rio II not come out. Although it has its flaws, it is still good. I will therefore give this phone 3.5 out of 5. Well your website seems to be coming on well.